This is a new jar hand coiled and traditionally painted, slipped and fired by Debbie Clashin. 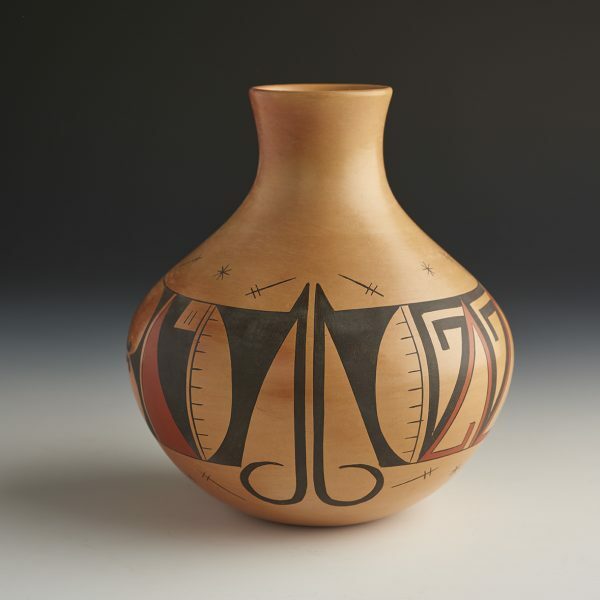 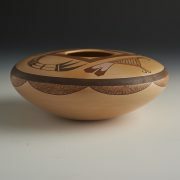 It’s a lovely shaped vase with classic Hopi design elements. Debbie explains – “This vase I call “The flight of a Hopi potter”. Black for night and red for the sun. 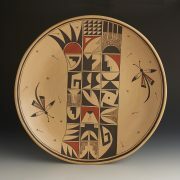 The swirls in the middle are representing bird wings carrying the pottery symbols like lightning.” She is doing such beautiful work in all sizes. 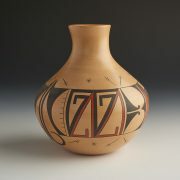 We are so pleased to represent her at our gallery.